Jesus knew that he too would join the long line of prophets sent by God and were rejected by the people chosen by God only this time not stoned to death but nailed to a cross. In these words you hear not only the man Jesus but also the great “I AM” of the Old Testament tenderly express that his greatest desire has been to embrace his people – to love them, care for them, protect them, forgive them for their failings, be like a protecting mother hen and wrap warm wings of comfort and protection around them. He has wanted so much to do these things for the people he created and chose from all the nations of the earth yet they would not let him. The city that Jesus loved so much ended up being the city that hated him to the point of killing him. Jesus knew that and you can feel the pain of rejected love in his words. But even though his love was rejected that didn’t stop him loving the people of Jerusalem. In fact, the more they rejected him, the more intensely he loved them. He is not afraid of their rejection even though he knows what Jerusalem will do to him. He will go on because his work wasn’t finished yet. He came to be their Saviour. at Pentecost he sent the Holy Spirit to empower his followers to tell the people of Jerusalem and the world how much he would love gather all his people under wings as a mother hen gathers her chicks. Most of us know what it feels like to have our love rejected. Researchers have found that when we feel rejected and unloved and when we are subjected to physical pain like spilling a hot cup of coffee on ourselves, the same area of the brain is affected. What that is saying is that the pain of rejected love is real; it is more than a momentary feeling. It stings, it hurts and its affects can be felt for quite some time and may even leave a scar that will remain and remind us of that painful moment. When we carry a scar of rejected love or a love that has been ignored it’s not easy to forgive and let go of the hurt. When the pain is deep it’s not easy to move on. The pain of rejected love can change us, make us bitter, distrustful, and have a negative effect on our relationships with others. And it’s true that sometimes the pain never really goes away. We feel the emotion and the memories that it arouses. As Jesus looked over Jerusalem, he is filled with sorrow. He had taught the people so clearly about the Kingdom of God and about God's love for the least and the lost but they didn’t want to hear it. They rejected Jesus and his love. He had so much to offer them and their failure to take him seriously must have been so frustrating and painful but it didn’t put him off. It made him all the more determined. Even though Jesus was referring to the people of Jerusalem of his time, his words have something to say to us today. Firstly, there is no doubt about the intensity of Jesus’ love for sinners. His words demonstrate how passionate God is about his people and how much he wants to wrap his arms of love and protection around all of us. He won’t force us under his protection but he warmly invites and welcomes us to come to him. He reminds us that when we are deeply disappointed in our own behaviour; when we have hurt others and the people who mean the most to us including the One who loves us so deeply, he doesn’t turn away from us just as he didn’t turn away from Jerusalem. Instead he offers us his outstretched arms of forgiveness and welcomes us back. He stretched out his arms for us on the cross. His hands of blessing are extended over us at our Baptism. His extended arms welcome us to Holy Communion as Jesus feeds us his own body and blood. Those loving arms are extended over us as we receive his blessing as we leave here and go into our week. More than anything our God wants to wrap his loving arms around each one of us. Secondly, the words of Jesus remind us that God never gives up. 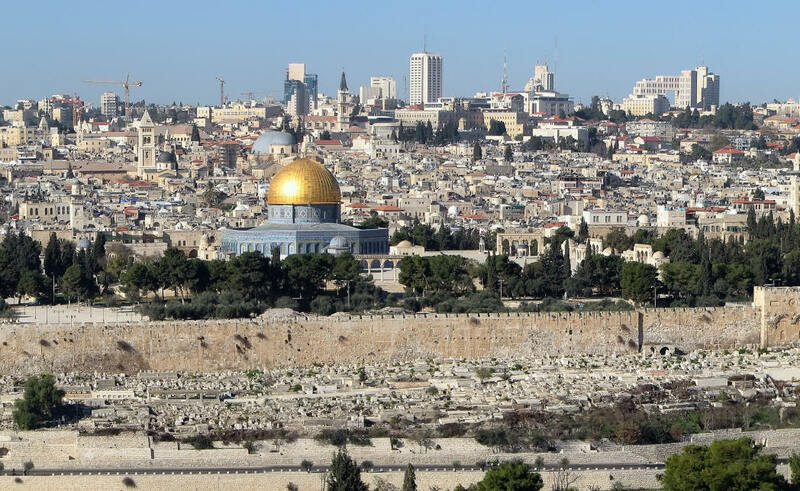 Jesus was deeply saddened by Jerusalem’s response to God's messengers in the past. He could have become angry, despondent, and thrown up his hands in disgust and said, “What’s the use!” But he still wanted to give them another chance and as many chances as they needed. So he continued down the road to Jerusalem. Paul reminds us to imitate Christ and even though we can never love as perfectly as Jesus did, nevertheless we are called to be ‘Christ’ to the people in our lives in the best way we can. We are called to imitate his attitude – accept and love even those who disappoint us and reject our love and hurt us, in the same way as Jesus didn’t turn his back on those who rejected him. This is the kind of love that doesn’t come naturally but comes from the will that is guided by the Holy Spirit. This is the kind of love that Paul describes as never giving up, and its faith, hope and patience never fails. This kind of love isn’t an easy thing to do. It wasn’t easy for the Son of God to walk the road to the cross. Remember his struggle in the Garden of Gethsemane where he prayed whether there might be just some other way that God's plan of salvation might be accomplished but in the end love ruled the day. There was only one way to save humanity and love and sacrifice were at the heart of it. To imitate Christ and let love rule our hearts and minds is one of the hardest challenges we face as Christians. we have preferred the easier option of throwing up barriers rather than breaking them down. Thirdly and finally, these passionate words of Jesus spoken over Jerusalem lead us to wonder how many times Jesus must weep over us. How often have we been like the people of Jerusalem? The people of Jerusalem were not outwardly wicked people, in fact they were very spiritual and upright in their own way, but completely missed the point when it came to recognising the Saviour in their midst. We come here to church and we sing the hymns and songs and listen to the words and pray but how often do we miss the point and not see Jesus, really meet Jesus in all that we do in our worship – really meet the One who heals, forgives, blesses, renews, changes us, protects us and loves us so dearly and we leave having missed it all because we’ve been distracted, side-tracked, disinterested or whatever? We believe that Jesus loves us and can bring us healing; we believe that Jesus has everything under his control and yet how often do we act as though he has nothing to offer us that will make a difference? We believe that Jesus loves us unconditionally and is ready to use his power to answer our prayers, but how slack have we been when it comes to spending a few moments with God every day in prayer? There are times, perhaps more than we care to admit, when Jesus must look at us with sadness because he holds his arms outstretched to us, but we refuse to be embraced by his gift of love. As we know from the gospels, Jesus isn’t one to be put off by a cold shoulder or by rejected love as hurtful as that can be. He rode right on into Jerusalem and the suffering and the cross that waited at the end of his journey. Jesus says to you and me today with just as much passion as he did 2,000 years ago, “I want to put my arms around you, just as a hen gathers her chicks under her wings”. This Lenten season, be amazed at the total and complete love that Jesus has for you. Bless him for his courage and boldness that not even the hurtful rejection of his love could stop him from completing his task of bringing salvation to us and all people. Praise him for the constancy of his love that will not give up. Thank him for the everlasting arms of love that are wrapped around us as we face life’s troubles and our dying day.